As the country faces polar vortices and months more winter, we turn our thoughts toward how to stay warm at home. Furnaces, fireplaces, and space heaters can all keep the chill away, but you need to consider energy costs, or maybe one of these options aren’t available to you, such as living in an apartment with no fireplace or the wiring can’t handle the additional load of a space heater. One thing you can do is better insulate your house. A lot of heat is lost through windows, especially if we have large or older windows in our home. 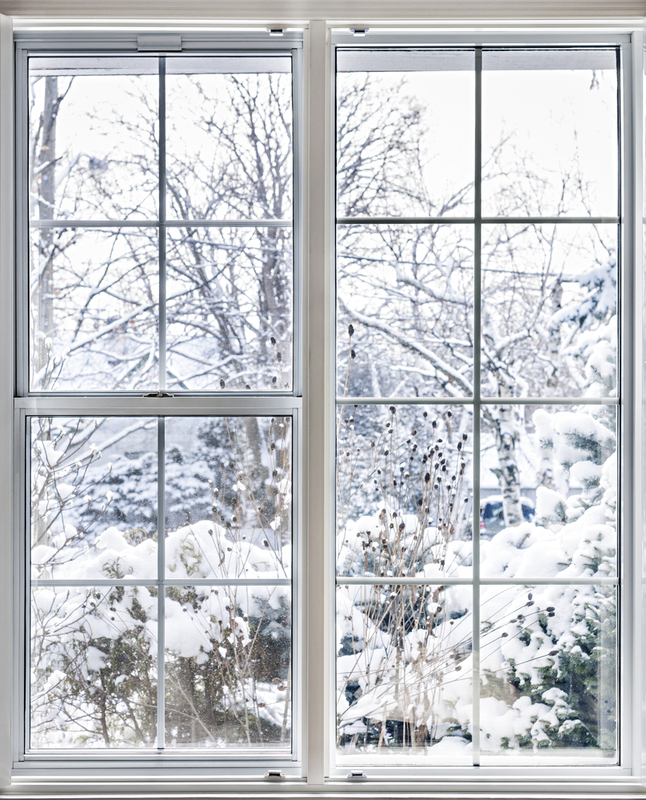 The best thing to do is to invest in double-glazed storm windows. That can be pricey, of course, so another method is to check the caulking around window frames. Before it gets really cold, see if there are any small gaps or weathering in the caulk, and redo the work. This is also a good time to check how the windows are set in the frames–reglazing work is often cheaper than replacing an entire window. Cheaper and quicker options include investing in heavy thermal curtains and drapes to go over every window. Another method that isn’t quite as attractive but is effective is to buy plastic sheeting. An afternoon with a hair dryer and exacto knife can represent big savings. Hardwood floors have a distinct downside in that they tend to leech away heat more quickly. To make a room warmer, invest in area rugs and bath mats to provide a layer of insulation. You can also put down runner rugs in hallways. This also lets you put the rugs away when the seasons change, if you prefer the hardwood look and feel. Many doors come with weather-stripping, but this can wear out quickly. It’s easy to replace old stripping, and it will help your energy bills all year long. Also, you can buy draft stoppers, long pillow-like items that go at the base of a door. Some can be even quite crafty and charming. Another trick is to swap out the screen in your storm door for glass. Check each room to see where the vents are. Make sure all the vents are open if you use the entire home, but if you have a room that won’t see much use–like a guest room–you could consider closing the vent, shutting the door, and putting a draft stopper in there to have less space ot heat. Even if your attic is already insulated, you can always buy rolls of unbacked insulation and add another layer. This can be a quick install; just unroll the insulation between joists. It might seem to cost a bit more than you expect, but in the long run helps energy bills throughout the year. Another thing to do is check exposed pipes. This can make you lose heat to warm the air around the pipe, so wrap them in insulation. It’s also possible, and in some states recommended, to put insulation along basement walls. Your friends at Gerber Moving & Storage hope you stay warm this winter.